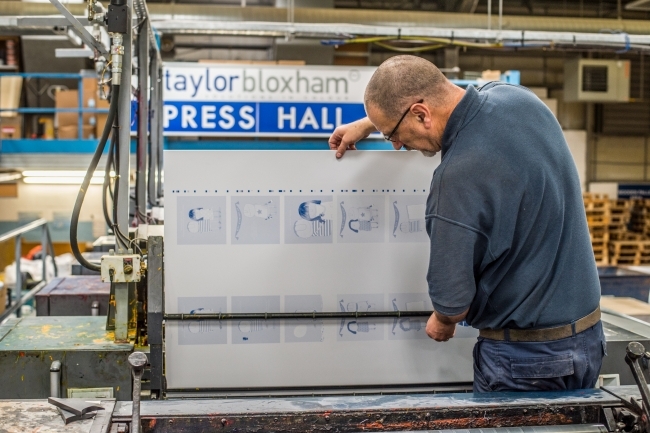 2018 marks the 80th birthday of print company the Taylor Bloxham Group. 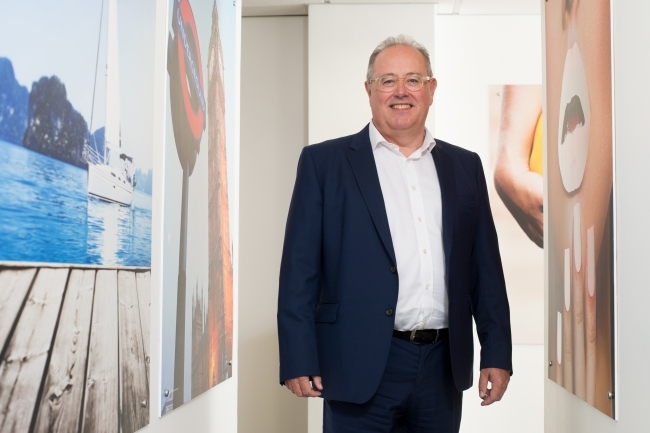 CEO Robert Lockwood shares his thoughts on why the company has been so successful and how the print industry has changed over the last eight decades. 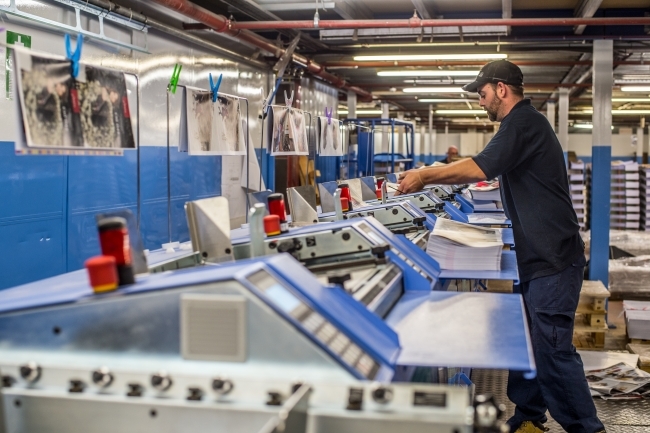 The print sector is one of the world’s earliest industries which for many decades used the same equipment and processes. However, the 21st century has brought about a significant change in the form of digitalisation as well as new kinds of media and technology which have presented serious challenges for many print businesses. Some companies have not survived these changes. In fact, in the past five years, around one-fifth of printing firms have closed down. At Taylor Bloxham, we have gone from strength to strength over the last 80 years for two main reasons: a commitment to innovation and investment. These two elements have been part of the company’s ethos from the very start. The company had fairly humble beginnings. Set up in 1938 by Herbert Taylor, a compositor and Harold Bloxham, a machine minder, Taylor & Bloxham (as it was then), was immediately presented with its first challenge: dealing with the impact of a catastrophic world war. However, while, many printers closed during this time as work dried up, Taylor Bloxham obtained some useful contracts, including printing Army Pay Corp books. The set-up during the 1940s and 50s was fairly standard for a small printing company of that time, with a guillotine, an old hand fed cylinder for poster work, a Printamatic Crown stop, an old automatic Victoria platen, and a hand fed medium folio Heidelberg. A far cry from what you’d expect to find in a modern day printing house. The company’s first major industry-leading investment came in 1970 when the company embarked on the ambitious step for the time of converting their presses from letterpress to B1 litho, an innovation introduced by then Managing Director Bruce Sharpless. Bruce had worked his way up the company from errand boy in 1938 to a visionary managing director in the 1970s. 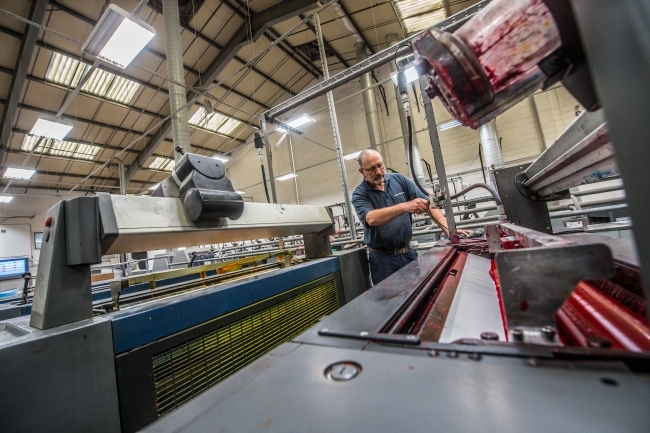 The move to litho made it possible to print larger quantities more efficiently and cost-effectively – and as Bruce had predicted, proved to be the future of printing. Other investments followed, including the purchase of two four-colour Heidelberg Speedmasters. The fact that each machine cost the equivalent of five year’s average profits demonstrates the company’s belief in a programme of continuous investment to ensure they remained at the forefront of the industry – Bruce even remortgaged the family home! Bruce could see that these costs were insignificant when compared to the price of trailing the competition. If these investments hadn’t been made, it’s possible that Taylor Bloxham might have suffered a similar fate to many other printing companies at the time and gone to the wall. Such investments demonstrate an understanding of our industry’s future. It’s vital to be aware of trends, the latest technologies and what’s affecting the industry as a whole to stay ahead of the competition and these are still key drivers for our business today. The latest change to hit the industry is digital print. Digital magazines, books, e-tickets, e-mails, paperless billing, online catalogues – the list goes on. So, true to the early pioneering spirit, Taylor Bloxham has embraced the possibilities that new technology offers, including exploring how technology such as augmented reality that can bring print to life. Ultimately, the story of Taylor Bloxham’s eight decades of growth and success is similar to Darwin’s theory of evolution – those who adapt to change and improve are ultimately the ones who survive. The later we react to change or refrain from investing in new technologies, the likelier it is that the competition will have everything in place to eclipse service in terms of speed and quality. To stay ahead of the competition, having access to the latest technology and equipment is essential. Clinging to old and outdated equipment is costly both in maintenance and in terms of lost efficiency. 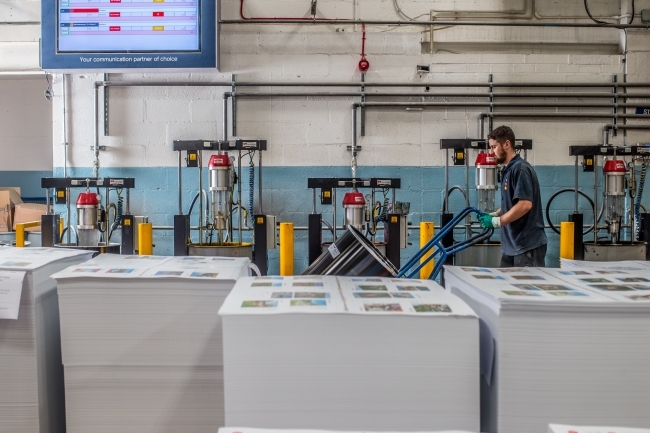 In the print industry, where faster turnaround times and quality are of ever-growing importance, Taylor Bloxham invests millions of pounds every year in new machinery to maintain their edge. In the last ten months alone, the company has invested £3 million into new premises and equipment. The group has also adapted and diversified by morphing into a set of brands that services customers in far more ways than their original print beginnings. Instore, Mailbox, FastAnt and Taylor Bloxham itself now offer a fully integrated communications service from design through to print, manufacturing, distribution, POP display, e-commerce, and direct mail fulfilment. We like to think that instead of fighting a battle against change and new technologies, Taylor Bloxham is showing how and why businesses can use innovation and change to thrive and grow.